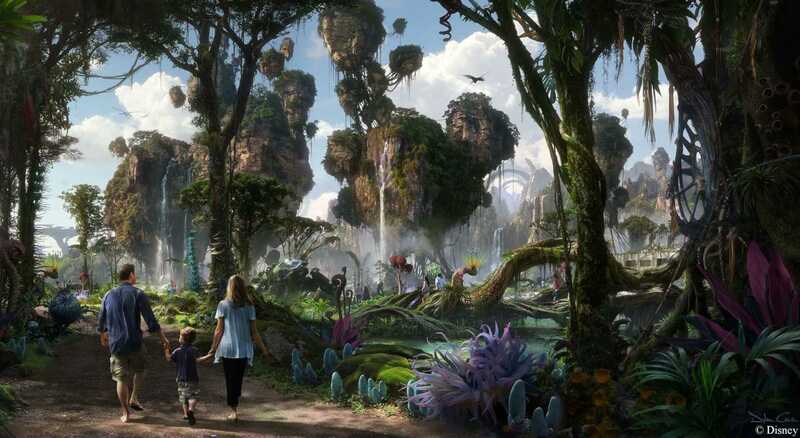 When you hear the word Na’vi you probably think of the major blockbuster box office hit film “Avatar” or Pandora – The World Of Avatar at Disney’s Animal Kingdom. Well what you might not have thought of before was the creation of a sophisticated language which is now used in one of the most popular film series of all time. A language that is used by some people like you and me on the daily. 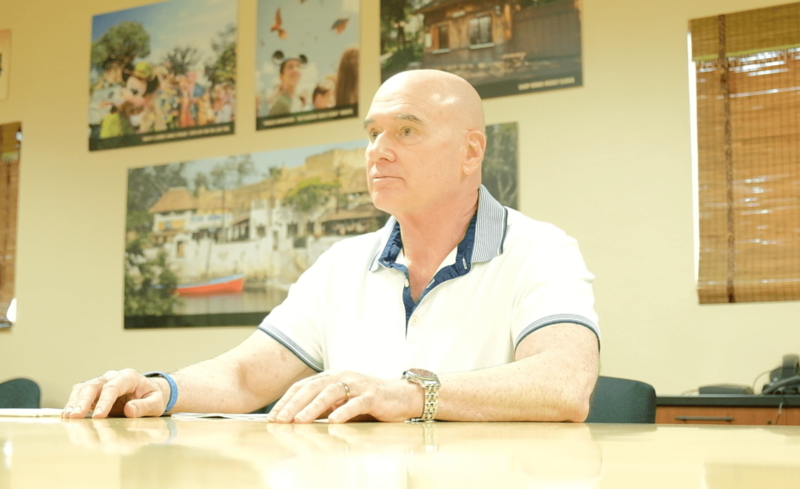 Today Dr. Paul Frommer, the creator of the Na’vi language, was on hand at Disney’s Animal Kingdom to discuss the language’s creation in-depth and his involvement with the extremely popular “Avatar” film series. Frommer was once a professor at the USC Marshall School of Business, when one day he received an email from a coworker explaining that the famous director James Cameron was looking for a linguist to create a language for a new film. The project at the time went under the code name “Project 880.” Frommer has a PhD in linguistics and was eager to jump at the offer. 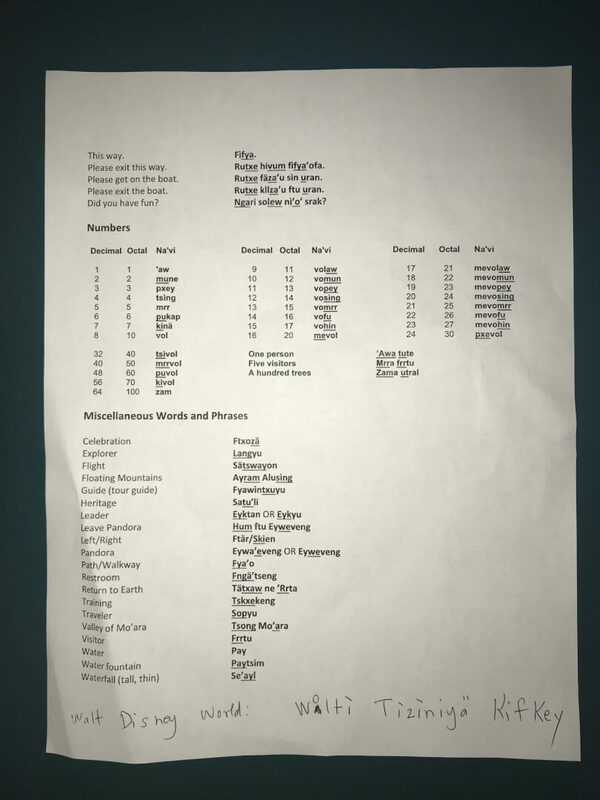 When Frommer had started with Cameron thirty words had already been created by the director, which he took and used in part to develop the Na’vi language. From this list Frommer started to develop sounds and phrases. 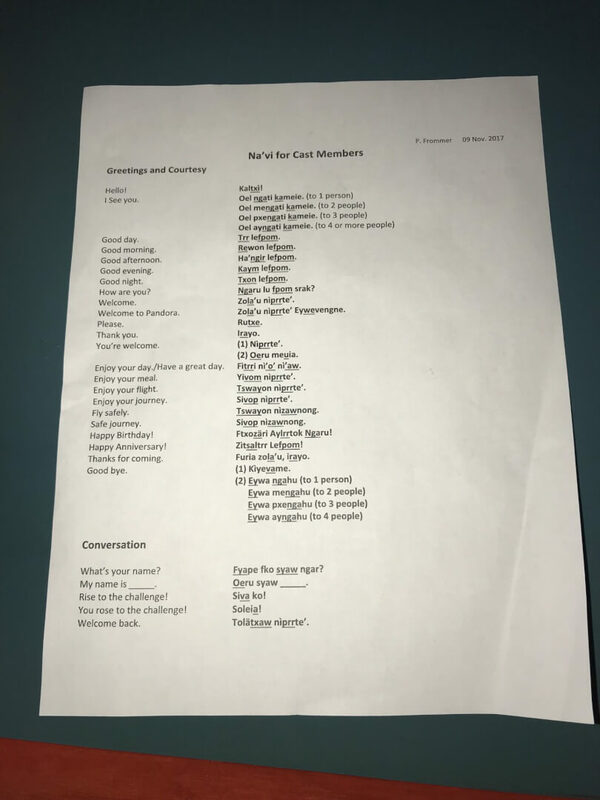 “Once you get an idea of what the sounds are and are not, you go from there,” Frommer explained as he discussed some of the different sounds and letters used in the creation of some Na’vi phrases. It took Frommer 4-6 months to create all of the Na’vi used in the first film from the time he originally sat down with Cameron. At this point in time the Na’vi language was not overly developed, but since then the language has grown immensely. 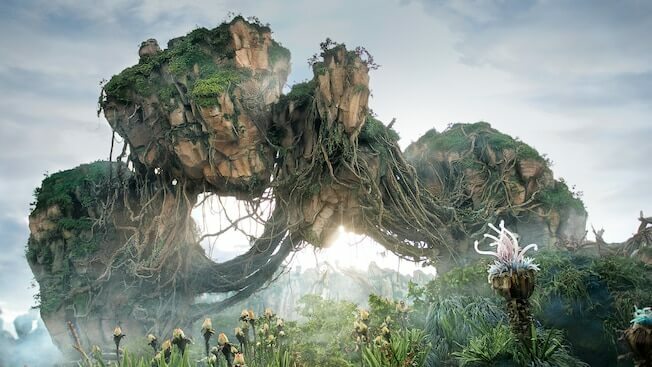 Frommer explained that there is now an annual Avatar meet-up where a large group of Na’vi enthusiasts all come together to celebrate the language. Members of the group are all dedicated fans from around the world who use the language on the daily. Some even correspond with Frommer via email in the language. Frommer also said that “some members of the group speak the language better than I do.” Members of the group also use the language to write poetry, movie reviews and much more. The group also has another website dedicated to the creation of more terms within the language. Frommer explained the idea behind this website was so fans who understood the rules of the language could help create more phrases which ultimately could end up in the next few films. Here is a list of some general english phrases, numbers and greetings translated into the language. At the bottom of the page you can see the translation Frommer wrote out for Walt Disney World. 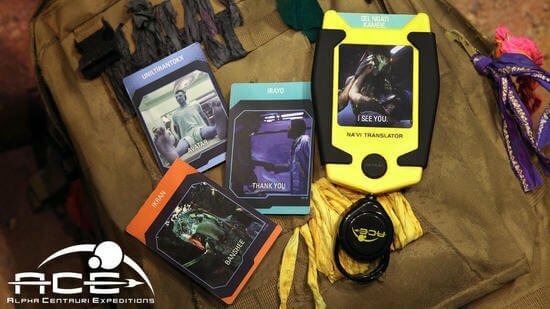 To learn more phrases and to have a better understanding of the Na’vi language you can purchase a Na’vi Translation Device at Pandora – The World of Avatar in Disney’s Animal Kingdom. The device costs $19.99 and comes packed with fifteen translation cards. Other cards are sold in trading card packs for $6.99 each. Each pack contains 8 randomly selected cards. Currently there are a total of 90 trading cards to collect. Frommer’s voice is used to pronounce the phrases that come out of the device, so you know the translations are accurate! Make sure to watch the video above to get an even more in-depth look at Frommer’s development of the language and how to pronounce certain phrases in Na’vi. If you want to check out more information about the annual Avatar meet-up, be sure to visit the official website avatarmeet.com. Also, if you would like to contribute to the language, visit the website Naviteri.org.